Cozumel ([kosu'mel], Yucatec Maya: Kùutsmil) is an island and municipality in the Caribbean Sea off the eastern coast of Mexico's Yucatán Peninsula, opposite Playa del Carmen, and close to the Yucatán Channel. The municipality is part of the state of Quintana Roo, Mexico. The economy of Cozumel is based on tourism. There are a number of visitors to the island's balnearios, scuba diving, and snorkeling. The main town on the island is San Miguel de Cozumel. The name Cozumel was derived from the Mayan "Cuzamil" or "Ah Cuzamil Peten" in full, which means the island of swallows (Spanish: Isla de las Golondrinas). The island is located in the Caribbean Sea along the eastern side of the Yucatan Peninsula about 82 km (51 mi) south of Cancún and 19 km (12 mi) from the mainland. The island is about 48 km (30 mi) long and 16 km (9.9 mi) wide. With a total area of 477.961 km2 (184.542 sq mi), it is Mexico's largest Caribbean island, largest permanently inhabited island, and Mexico's third-largest island, following Tiburón Island and Isla Ángel de la Guarda. The majority of the island's population lives in the town of San Miguel (pop. 77,236 in 2010), which is on the island's western shore. The municipality, which includes two small areas on the mainland enclaved within the Municipality of Solidaridad with a land area of 10.423 km2 (4.024 sq mi), has a total land area of 647.33 km2 (249.93 sq mi). The island is covered with mangrove forest which has many endemic animal species. 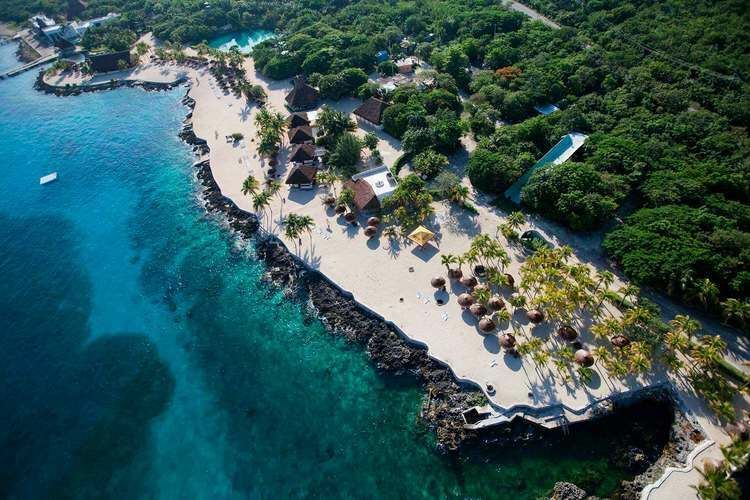 Cozumel is a flat island based on limestone, resulting in a karst topography. The highest natural point on the island is less than 15 m (49 ft) above sea level. The cenotes are deep water filled sinkholes formed by water percolating through the soft limestone soil for thousands of years. Cozumel's cenotes are restricted to qualified cave divers with appropriate credentials. the Cozumel Island coati, which is endangered. There are three rodents that are larger than their mainland counterpart: Oryzomys couesi, Peromyscus leucopus, and critically endangered Reithrodontomys spectabilis, the latter of which is also endemic to the island. Cozumel has tropical savanna climate under the Köppen climate classification that closely borders on a tropical monsoon climate. The dry season is short, from February to April, but even in these months precipitation is observed, averaging about 45 millimetres (1.8 in) of rain per month. The wet season is lengthy, covering most of the months, with September and October being the wettest months, when precipitation averages over 240 millimetres (9.4 in). Thunderstorms can occasionally occur during the wet season. Temperatures tend to remain stable with little variation from month to month though the temperatures are cooler from December to February with the coolest month averaging 22.9 °C (73.2 °F). Owing to its proximity to the sea, the island is fairly humid, with an average humidity of 83%. The wettest recorded month was October 1980 with 792 millimetres (31.2 in) of precipitation and the wettest recorded day was June 19, 1975 with 281 millimetres (11.1 in). Extremes range from 9.2 °C (48.6 °F) on January 18, 1977 to 39.2 °C (102.6 °F). 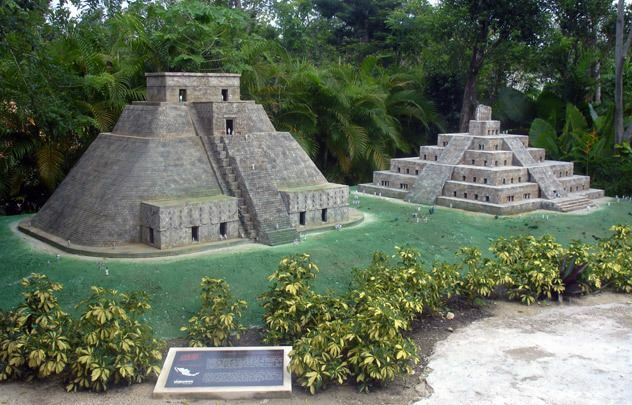 The Maya are believed to have first settled Cozumel by the early part of the 1st millennium AD, and older Preclassic Olmec artifacts have been found on the island as well. The island was sacred to Ix Chel, the Maya Moon Goddess, and the temples here were a place of pilgrimage, especially by women desiring fertility. There are a number of ruins on the island, most from the Post-Classic period. The largest Maya ruins on the island were near the downtown area and have now been destroyed. Today, the largest remaining ruins are at San Gervasio, located approximately at the center of the island. The first Spanish expedition to visit Cozumel was led by Juan de Grijalva in 1518. In the following year Hernán Cortés stopped by the island on his way to Veracruz. 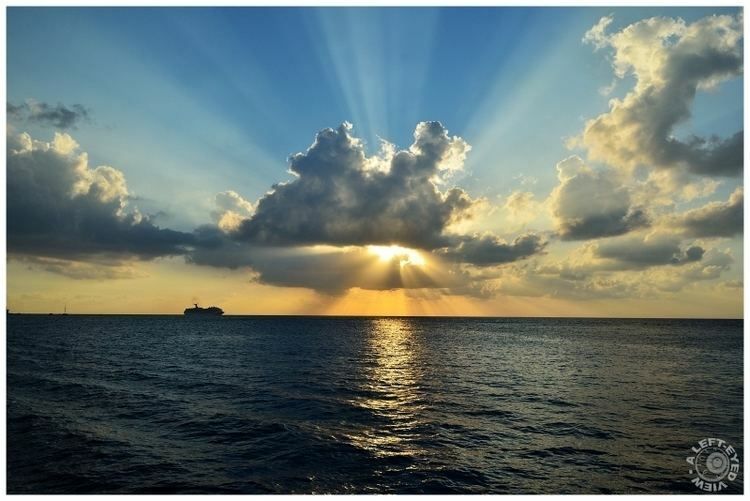 The Grijalva and Cortés expeditions were both received peacefully by the Maya of Cozumel, unlike the expeditions’ experiences on other parts of the mainland. Even after Cortés destroyed some of the Maya idols on Cozumel and replaced them with an image of the Virgin Mary, the native inhabitants of the island continued to help the Spanish re-supply their ships with food and water so they could continue their voyages. Gerónimo de Aguilar was rescued at this time. As many as 10,000 Maya lived on the island then, but in 1520, infected crew members of the Pánfilo Narváez expedition brought the smallpox contagion to the island and by 1570 only 186 men and 172 women were left alive on Cozumel. In the ensuing years Cozumel was often the target of attacks by pirates, and in 1650 many of the islanders were forcibly relocated to the mainland town of Xcan Boloná to avoid the buccaneers’ predation. Later, in 1688, most of the rest of the island’s population, as well as many of the settlements along the Quintana Roo coast, were evacuated inland to towns such as Chemax. In 1848, refugees escaping the tumult of the Caste War of Yucatán settled on the island and in 1849 the town of San Miguel de Cozumel was officially recognized by the Mexican government. In 1861, American President Abraham Lincoln ordered his Secretary of State, William Henry Seward, to meet with the Mexican chargé d'affaires Matias Romero to explore the possibility of purchasing the island of Cozumel for the purpose of relocating freed American slaves offshore. The idea was summarily dismissed by Mexican President Benito Juarez, but in 1862 Lincoln did manage to establish a short-lived colony of ex-slaves on Île à Vache off the coast of Haiti. Although the original airport was a World War II relic and was able to handle jet aircraft and international flights, a much larger airport was built in the late 1970s. Scuba diving is still one of Cozumel's primary attractions, mainly due to the healthy coral reef marine communities. These coral reefs are protected from the open ocean by the island's natural geography. In 1996, the government of Mexico also established the Cozumel Reefs National Marine Park, forbidding anyone from touching or removing any marine life within the park boundaries. Despite the importance of healthy reefs to Cozumel's tourist trade, a deepwater pier was built in the 1990s for cruise ships to dock, causing damage to the reefs, and it is now a regular stop on cruises in the Caribbean. The island was struck directly by two Category 4 hurricanes during the 2005 Atlantic hurricane season. In July, Hurricane Emily passed just south of Cozumel, exposing the island to the storm's intense inner core. Despite Emily being a powerful storm, it was the larger, stronger, slower-moving Hurricane Wilma that caused the most destruction when it hit the island in October. Wilma's eye passed directly over Cozumel. There was some damage to the underwater marine habitat. This included the coral reefs, which suffered particularly at the shallower dive sites, and the fish that inhabit the reefs. Tourism, diving and charter fishing comprise the majority of the island’s economy. There are more than 300 restaurants on the island and many hotels, some of which run dive operations, have swimming pools, private docks, and multiple dining facilities. Other water activities include para-sailing, kitesurfing, and a tourist submarine. There are also two dolphinariums. At the cruise ship docks there are several square blocks of stores selling Cuban cigars, jewellery, T-shirts, tequila, and a large variety of inexpensive souvenirs. San Miguel is home to many restaurants with a huge variety of different cuisines, along with several discothèques, bars, cinemas, and outdoor stages. The main plaza is surrounded by shops; in the middle of the plaza is a fixed stage where Cozumeleños and tourists celebrate every Sunday evening with music and dancing. All food and manufactured supplies are shipped to the island. Water is provided by three different desalination facilities located on the island. There are three universities on the island: the State Public University of Quintana Roo (UQROO) and two private universities, the Partenon Institute and the Interamerican University for Development (UNID). In addition to teaching English as a degree, they offer other career options including natural resources research, tourism and commercial systems. 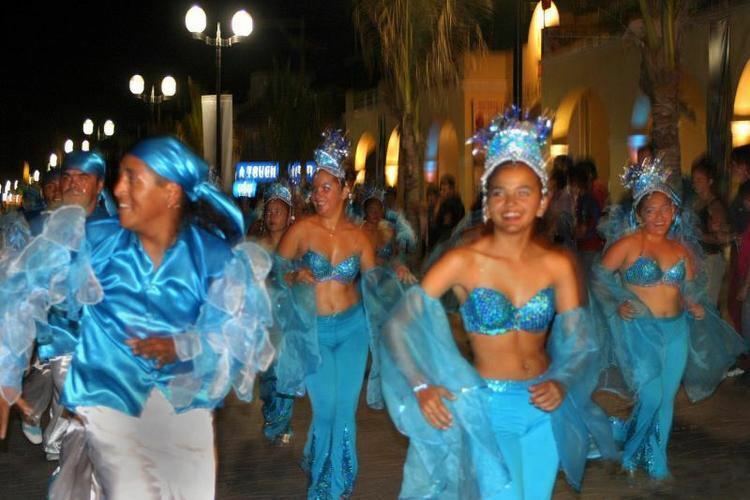 The Festival of Santa Cruz and El Cedral Fair is a historical tradition held in the town of El Cedral, in the south of Cozumel Island at the end of April. 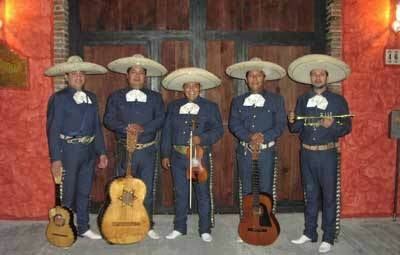 This annual event is said to have been started over 150 years ago by Casimiro Cárdenas. Cárdenas was one of a group that fled to the island from the village of Saban, on the mainland, after an attack during the Caste War of Yucatánin 1848. The attackers killed other villagers, but Cárdenas survived whilst clutching a small wooden cross. Legend has it that Cárdenas vowed to start an annual festival wherever he settled, to honor the religious power of this crucifix. Today, the original Holy Cross (Santa Cruz) Festival forms part of the wider Festival of El Cedral, which includes fairs, traditional feasts, rodeos, bullfights, music and competitions. The celebrations last about 5 days in all and are held every year at the end of April or beginning of May. The Cozumel Carnival or Carnaval de Cozumel is one of the most important carnaval festivities in México. It has been celebrated as a tradition beginning from the late nineteenth century and fills Cozumel’s streets with parades. It begins the week before Mardi-Gras in February. Cozumel's Carnaval is a tradition which has been passed down through many generations that celebrates a mixture of cultures that escaped to the warm embrace of Cozumel. Dating back to the mid 1800s, Cozumel Carnaval was started by young people dressed in vibrantly colorful costumes known as "Estudiantinas" or "Comparsas", who expressed themselves in the streets of Cozumel through the artforms of dance, song, and fantasy. Cozumel Municipality is one of eleven municipalities of Quintana Roo. The municipal seat is located in San Miguel de Cozumel, the largest city in the municipality.